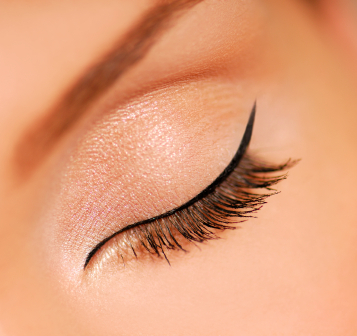 Eyelash perming - This method of curling your eyelashes will last up to 8 weeks. The lifting and curling of your eyelashes will enhance the appearance of your eyes and remove the need for using eyelash curlers. This treatment is often used to complement eyelash tinting. The eyelashes are wrapped around a small, flexible roll and products formulated especially for the eye area are used to achieve a perfect C curl to the eyelash. New clients need a patch test a minimum of 24 hours before treatment. Eyelash perm and tint - New clients need a patch test a minimum of 24 hours before treatment. Eyebrow tint - New clients need a patch test a minimum of 24 hours before treatment. Eyelash tint - New clients need a patch test a minimum of 24 hours before treatment. Full eyecare package (eyebrow shape and tint and eyelash tint) - New clients need a patch test a minimum of 24 hours before treatment. High definition eyebrows - The treatment, using Hi Brow products, is a combination of Tinting, Waxing, Tweezing, Threading, Eyebrow Pencil and Eyebrow Powders which together create a fabulous defined eyebrow shape. New clients need a patch test a minimum of 24 hours before treatment. Threading on lip, chin or eyebrow - An ancient technique of hair removal whereby a single thread is used to loop and grip the hair prior to removal. It is used on any part of the body and will often take longer than other methods of semi permanent hair removal such as waxing. Aromatic Retreat - A prescriptive facial and full body Swedish massage with organic aromatherapy oils tailored to suit your personal needs to ease tension, relieve stress and promote a general state of well-being, and a rejuvenating facial tailored especially to suit your own specific skin needs. Treatment: Remove eye and lip make-up, cleanse and exfoliate the face. Apply a mask and perform an arm and leg massage while the mask is on. Remove the mask and perform a face, neck and shoulder massage. Apply eye cream and moisturiser. Perform a back, shoulder and leg massage. Prescriptive facial - Prescriptive treatment designed especially for your skin needs. Regardless of your skin type, age or concerns, this facial will cater for your skins needs. Treatment: Remove eye and lip make-up, cleanse and exfoliate the face. Apply a mask and perform an arm massage while the mask is on. Remove the mask and perform a face, neck and shoulder massage. Apply eye cream and moisturiser. Anti-ageing facial with firming eye treatment - Specifically designed for mature, dry, dehydrated or stressed skin, this facial concentrating on reviving your skins natural moisture and pays particular attention to the delicate eye area. The treatment includes the Maxi non-surgical face lift procedure. The skin is left fresh, revitalised and toned, helping to give a smoother, clearer, younger looking skin. Treatment: Remove eye and lip make-up, cleanse and exfoliate the face. Apply an eye and lip mask and place cold stones on the eyes while the mask is on. Perform an arm massage while the mask is on. Remove the mask and perform a face, neck and shoulder massage and massage around the eyes and forehead with cold stones. Perform a maxi non-surgical facelift. Apply eye serum and moisturiser. Hot stones therapy facial - A facial tailored to your skin care needs, incorporating hot and cold stones. This advanced treatment will relax, tone and stimulate the skin to give long term benefits. Treatment: Remove eye and lip make-up, cleanse and exfoliate the face. Apply a mask and place cold stones on the eyes while the mask is on. Perform an arm massage using hot stones while the mask is on. Remove the mask and perform a face, neck and shoulder massage, massaging around the eyes and forehead with cold stones and massaging around the shoulders with hot stones. Apply eye serum and moisturiser. Mens rebalancing facial - A deep cleansing facial for all skin types. Includes an oriental scalp massage. 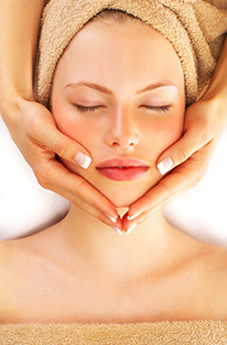 Précis facial - An introduction to facials and a mini skin booster suitable for all skin types. Treatment: Remove eye and lip make-up, cleanse and exfoliate the face. Apply a mask and perform a neck and shoulder massage while the mask is on. Remove the mask and perform a facial massage. Apply eye cream and moisturiser. Eye treatment - Helps to drain toxins, reduce puffiness, combat bags and dark circles, smoothing out the appearance of fine lines for rejuvenated, younger looking eyes. Treatment: Remove eye and lip make-up, cleanse and exfoliate the face. Apply an eye mask and perform a neck and shoulder massage while the mask is on. Massage around the eyes and forehead with cold stones. Apply eye serum and moisturiser. Fake Bake self tanning with full body exfoliation - Fake Bake, the market leading brand, combines naturally derived tanning agents to give an instant sun-kissed colour and long lasting sunless fake tan, guaranteeing longer lasting, more natural-looking results. Fake Bake’s botanical ingredients remove parabens and artificial preservatives, and offer added anti ageing, anti cellulite and anti oxidants benefits. Fake Bake was the first company to use DHA and Erythulose in self-tanning products to develop a flawless sunless tan that lasts 50% longer than most self-tanners. Each Fake Bake product contains a colour guide which helps you apply the colour. 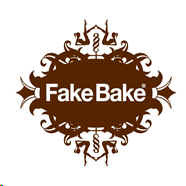 All of Fake Bake products are Paraben-free and they also have no artificial preservatives. Fake Bake full body self tanning - Fake Bake, the market leading brand, combines naturally derived tanning agents to give an instant sun-kissed colour and long lasting sunless fake tan, guaranteeing longer lasting, more natural-looking results. Fake Bake’s botanical ingredients remove parabens and artificial preservatives, and offer added anti ageing, anti cellulite and anti oxidants benefits. Fake Bake self tanning with half body exfoliation - Fake Bake, the market leading brand, combines naturally derived tanning agents to give an instant sun-kissed colour and long lasting sunless fake tan, guaranteeing longer lasting, more natural-looking results. Fake Bake’s botanical ingredients remove parabens and artificial preservatives, and offer added anti ageing, anti cellulite and anti oxidants benefits. Fake Bake half body self tanning - Fake Bake, the market leading brand, combines naturally derived tanning agents to give an instant sun-kissed colour and long lasting sunless fake tan, guaranteeing longer lasting, more natural-looking results. Fake Bake’s botanical ingredients remove parabens and artificial preservatives, and offer added anti ageing, anti cellulite and anti oxidants benefits. Full body Swedish massage - A full body massage with organic aromatherapy oils tailored to suit your personal needs to ease tension, relieve stress and promote a general state of well-being. Back and shoulder Swedish massage - An introductory treatment with organic aromatherapy oils tailored to suit your personal needs to ease tension in back and shoulders. Ideal for golfers and gardeners. Back or chest wax - Once the waxing has been completed, a soothing Aloe Vera lotion is applied to help the skin recover from the waxing treatment. Skin is left looking naturally smooth and stubble growth is eliminated. Over a period of time hair growth slows down and the hairs become sparse. Oriental scalp massage - A calming, energising scalp massage with organic aromatherapy oils tailored to suit your personal needs focusing on the energy pressure points to release tension. Indian head massage - A gentle healing treatment based on ayurvedic philosophy. It's been part of traditional family life in India for over one thousand years, helping to relieve stress, ward off illness, and strengthen relationships through physical affection. Rebalancing facial - Suitable for all skin types, this deep cleansing facial with organic aromatherapy oils purifies and hydrates your skin with the aid of a relaxing massage. Treatment: Cleanse and exfoliate the face and apply a mask. Perform an Oriental scalp massage while the mask is on. Remove the mask and perform a face, neck and shoulder massage. Apply eye cream and moisturiser. Relaxing & deep cleansing back treatment - An ideal treatment for problematic skin. The back is deep cleansed, exfoliated, a cleansing mask is applied to clear problem skin & a back massage is performed. Men's manicure - Involves intensive treatment of the cuticles, nail filing, heat treatment, hand and arm massage, with optional matt polish. Men's pedicure - Involves intensive treatment of the cuticles, hard skin removal, nail filing, heat treatment, foot and leg massage, with optional matt polish. Hopi Ear Candle - This ancient clearing method has been used by the Hopi Indians of America and also the Egyptians, Chinese and Greeks. 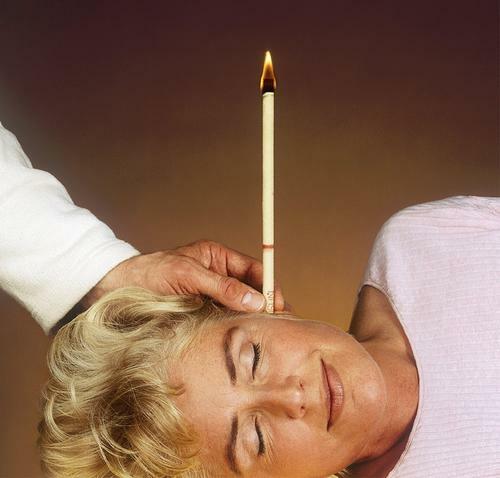 The process involves using a specially made hollow candle which is held gently on the edge of the ear to create a vacuum in the ear, drawing out old wax, residues of past infection and fungus. Candling is said to stimulate the immune system and peripheral blood circulation. Candling is non-invasive and completely painless. Treatments will generally last about one hour. Treatment: Massage the ear and insert a Hopi candle into the ear. Light the candle and allow it to burn down to the mark. Remove the candle and extinguish. Massage the ear again and repeat the process on the other ear. Perform a facial massage to assist sinus drainage. Holistic total body care hot stones therapy - A full body skin brushing and exfoliation prepares the skin and leaves it feeling soft and smooth. This is followed by a hot stones therapy facial, hot stones full body massage, and hot stones oriental scalp massage using individually prescribed blend of essential oils and hot and cold stones on vital energy points. This overall treatment is a totally blissful holistic experience to bring harmony to mind and body. Holistic back, face and scalp hot stones therapy - Starts with a hot stones back massage, followed by a hot stones therapy facial and a hot stones oriental scalp massage. Leaves the skin feeling totally revitalised and the body and mind relaxed. Facial hot stones therapy - A facial tailored to your skin care needs, incorporating hot and cold stones on vital energy points. This advanced treatment will relax, tone and stimulate the skin to give long term benefits. Full body massage using hot stones - A full body massage with the added benefit of hot stones to ease tension, relieve stress and promote a general state of well-being. 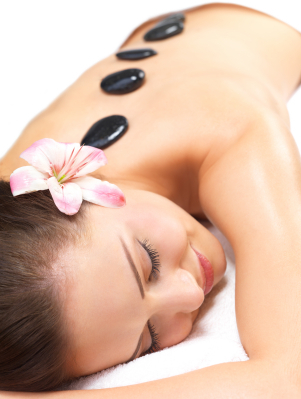 Back and shoulder massage using hot stones - An introductory treatment to ease tension in back and shoulders. Ideal for golfers and gardeners. Holistic hand and nail hot stones therapy - A relaxing pressure points massage incorporating hot stones therapy and essential oils. Includes nail shape and polish using OPI, Gelish or Shellac. Holistic foot and nail hot stones therapy - Exfoliation to soften the skin and a relaxing pressure points massage incorporating hot stones therapy and essential oils. Includes nail shape and paint using OPI, Gelish or Shellac. OPI Holistic hand and nail hot stones therapy - A relaxing pressure points massage incorporating hot stones therapy and essential oils. Includes nail shape, polish and paint with cuticle work and nail buffing, arm exfoliation and heated mitts for deep moisturisation. Gelish Holistic hand and nail hot stones therapy - A relaxing pressure points massage incorporating hot stones therapy and essential oils. Includes nail shape, polish and paint with cuticle work and nail buffing, arm exfoliation and heated mitts for deep moisturisation. Includes removal if previously applied by Heavenly Treatments. Shellac Holistic hand and nail hot stones therapy - A relaxing pressure points massage incorporating hot stones therapy and essential oils. Includes nail shape, polish and paint with cuticle work and nail buffing, arm exfoliation and heated mitts for deep moisturisation. Includes removal if previously applied by Heavenly Treatments. OPI Holistic foot and nail hot stones therapy - Exfoliation to soften the skin and a relaxing pressure points massage incorporating hot stones therapy and essential oils. Includes leg and foot exfoliation and massage, callus removal, heated booties for deep moisturisation, nail shape, polish and paint with cuticle work and nail buffing. Gelish Holistic foot and nail hot stones therapy - Exfoliation to soften the skin and a relaxing pressure points massage incorporating hot stones therapy and essential oils. Includes leg and foot exfoliation and massage, callus removal, heated booties for deep moisturisation, nail shape, polish and paint with cuticle work and nail buffing. Includes removal if previously applied by Heavenly Treatments. Shellac Holistic foot and nail hot stones therapy - Exfoliation to soften the skin and a relaxing pressure points massage incorporating hot stones therapy and essential oils. Includes leg and foot exfoliation and massage, callus removal, heated booties for deep moisturisation, nail shape, polish and paint with cuticle work and nail buffing. Includes removal if previously applied by Heavenly Treatments. Gelish Rockstar nails - A nail shape, polish and paint using Gelish Rock Star super gloss long lasting glitter finish on the nails including cuticle work and nail buffing. Includes removal if previously applied by Heavenly Treatments. Shellac Rockstar nails - A nail shape, polish and paint using Shellac Rock Star super gloss long lasting glitter finish on the nails including cuticle work and nail buffing. Includes removal if previously applied by Heavenly Treatments. Swarovski Nails - This includes a mini pedicure to cleanse, shape and buff the nails and trim cuticles before applying the crystals. Gel polish removal - If a client attends and requires a gel polish to be removed, and the polish to be removed was not applied by Heavenly Treatments, a charge of £5 will be made for the removal. Aromatic Retreat - A full body Swedish massage with organic aromatherapy oils tailored to suit your personal needs to ease tension, relieve stress and promote a general state of well-being, and a rejuvenating facial tailored especially to suit your own specific skin needs. Relaxing & deep cleansing back treatment - An ideal treatment for problematic skin. The back is deep cleansed, exfoliated, a cleansing mask is applied to clear problem skin & a mini back massage is performed. Detoxifying marine algae wrap - A theraputic, balancing and detoxifying treatment involving full body exfoliation, application of a detoxifying gel, a full body wrap during which an oriental scalp massage is carried out, and then a detoxifying body oil is applied to leave you relaxed and re-energised. Designed to ease tension, boost the metabolism, and eliminate toxins. Hip & Thigh Treatment - This is a highly effective, stimulating treatment for great results immediately. It targets cellulite, fluid retention, bloating and uneven skin texture. We combine potent marine extracts with iced mitts and a deeply detoxifying massage with specialised stomach massage techniques to help cleanse and purify the colon. Ideal for those of all shapes and sizes concerned with the appearance of cellulite. Includes a scalp massage. Treatment: Exfoliate the stomach and legs. Apply detoxifying gel and wrap body with cling film. Perform Oriental scalp, abdominal, and leg massage. Oriental scalp massage - A calming, energising scalp massage with organic aromatherapy oils tailored to suit your personal needs focusing on the energy pressure points to release tension. Treatment: A scalp massage together with a neck and shoulder massage. Indian Head massage - A gentle healing treatment based on ayurvedic philosophy. It's been part of traditional family life in India for over one thousand years, helping to relieve stress, ward off illness, and strengthen relationships through physical affection. Treatment: Perform a back, neck, scalp and face massage. Body softening treatment, including face - Full body exfoliation followed by an application of luxurious body lotion to leave the skin silky smooth. Ideal before a tan or just when your skin needs a boost. Detoxifying marine algae wrap (Course of 6) - A theraputic, balancing and detoxifying treatment involving full body exfoliation, application of a detoxifying gel, a full body wrap during which an oriental scalp massage is carried out, and then a detoxifying body oil is applied to leave you relaxed and re-energised. Designed to ease tension, boost the metabolism, and eliminate toxins. Luxury manicure & Minx finger nails - Sparkly metallics, personalized graphics and photo-quality designs make up the Minx nail line. Made of flexible film, Minx finally gives women completely customized finger and toes nails that can feature the exact pattern and colours of their newest gown, their favorite photo, or this season’s hottest designs. Includes arm exfoliation, hand and arm massage, heated mitts for deep moisturisation, nail shape, cuticle work, nail buffing, and application of the Minx foils. Minx finger nails only - Sparkly metallics, personalized graphics and photo-quality designs make up the Minx nail line. Made of flexible film, Minx finally gives women completely customized finger and toes nails that can feature the exact pattern and colours of their newest gown, their favorite photo, or this season’s hottest designs. Includes nail shape, cuticle work, nail buffing and application of the Minx foils. Luxury pedicure & Minx toe nails - Sparkly metallics, personalized graphics and photo-quality designs make up the Minx nail line. Made of flexible film, Minx finally gives women completely customized finger and toes nails that can feature the exact pattern and colours of their newest gown, their favorite photo, or this season’s hottest designs. Includes leg and foot exfoliation and massage, callus removal, heated booties for deep moisturisation, nail shape, cuticle work, nail buffing, and application of the Minx foils. Minx toe nails only - Sparkly metallics, personalized graphics and photo-quality designs make up the Minx nail line. Made of flexible film, Minx finally gives women completely customized finger and toes nails that can feature the exact pattern and colours of their newest gown, their favorite photo, or this season’s hottest designs. Includes nail shape, cuticle work, nail buffing and application of Minx foils. Ladies Pamper Parties - These are ideal for any occasion, for example as a birthday celebration treat, or just to treat yourself and your friends. The basic party package includes any one of the following treatments. Other treatments are available and can be included to suit the wishes of you or your friends such as; Back massage, Précis facial. Eye treatment, Mini manicure, Mini pedicure, Oriental scalp massage, Indian head massage: Minimum number of four. Depending upon the venue and party numbers, and any additional treatments required, the price may be subject to negotiation. Depending upon the number of customers at the party, a charge of 50 pence per mile may be made for the travel distance from our salon in Darras Hall to the party location if this is over ten miles. - Price based on a minimum number of 4 at the pamper party. Teen Pamper Parties - These are ideal for 10-16 year olds as an introduction to personal grooming and the benefits of make-up, skin care and massage for young teens and pre-teens either individually or in a group, for example as a birthday celebration treat. For your added security and peace of mind, Faye is police and CRB checked and approved to work with children. The basic package includes any two of the following treatments, but can be modified to suit your wishes; fingernails or toenails painted with a choice of colour or glitter, Mini back massage, Teen facial (cleanse, exfoliation, mask, tone, and moisturiser) Glitter tattoo, make-up applied on eyes, lips and cheeks. Depending upon the number of customers at the party, a charge of 50 pence per mile may be made for the travel distance from our salon in Darras Hall to the party location if this is over ten miles. - Price based on a minimum number of 6 at the pamper party. Children's Pamper Parties - The package, which is suitable for children aged 4-12 years old, can be modelled to suit the age of the children attending and is ideal for a group celebration, for example as a birthday celebration treat. For your added security and peace of mind, Faye is police and CRB checked and approved to work with children. The basic party package includes any two of the following treatments but can be modified to suit your wishes; fingernails or toenails painted with a choice of colour or glitter, make-up applied on eyes, lips and cheeks, Glitter tattoo. Depending upon the number of customers at the party, a charge of 50 pence per mile may be made for the travel distance from our salon in Darras Hall to the party location if this is over ten miles. Depending upon the venue and party numbers, and any additional treatments, the price may be subject to negotiation. Price based on a minimum number of 6 at the pamper party.